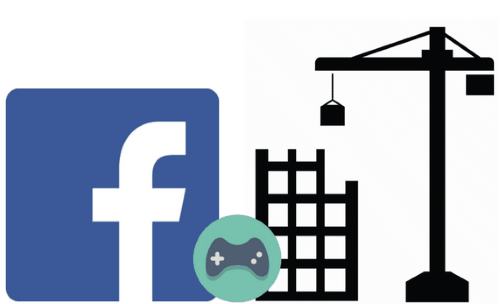 In this article, I will introduce you to 5 free City Building Facebook games. In these City Building Facebook games, you play as the Mayor of a city and help to grow its population and infrastructure. You can build residences, public service buildings, business buildings like cafeterias, schools, etc. and collect taxes from them in order to generate income and buy more buildings from the shop. Not just these, you are rewarded gold, bank notes (not real), and energy, every time you cross a level. You will need these rewards for development of your city. 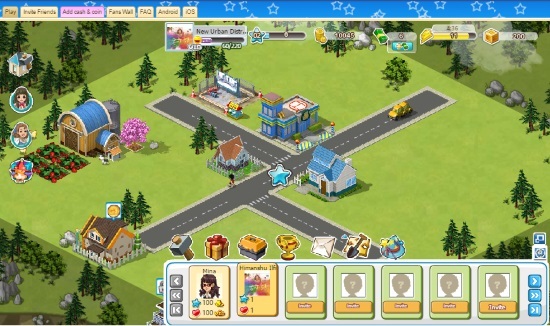 These empire building Facebook games come with enriched animations and gameplay events that are very closely related to real-world’s events of city building. I am sure that if you are looking for a good city building game or farming game on Facebook to play, then one of the games added below can just end your search. They are fun to play, and most importantly allow you to build your own empire. If you are into playing Facebook games, then don’t miss out these 5 Pool games, Snake games, and these awesome 3D Facebook games. 2020: My Country is the first city building Facebook game on my list. In this empire building game, you play as the city Mayor and work your way to transform a small city to a city with all infrastructural facilities. You need to complete the ventures given in the game to progress and make your city bigger and increase its population. To complete the ventures and tasks, you can hire entrepreneurs, bakers, building managers, etc., depending upon the building you want to construct. You can buy different types of buildings and decorations from Shop by using the collected income from the constructed buildings. Once you place a building for construction, it will take some time to build, but you can use the energy bars to instantly finish the construction work. These energy bars refill automatically after a specific time interval. The gaming controls are very simple and you can play the full game just with your mouse. Press and hold the left button of the mouse to move the city up and down to explore it. You can also zoom in and zoom out of the game by scrolling the mouse wheel. I also found some in-game missions, like cross 3 public service trucks on a highway without crashing. There might be many more mini games inside it that you can find by leveling up and exploring the city. You can also invite your friends to play the game or join them if they are already playing it. This will allow you and your friends to play as a team and help each other to progress through the game in a more fast paced manner. LandLord is another free to play city building game on Facebook. You can play the game just as the previous one on my list, the only difference being the graphics. 2020: My Country surely has better graphics and smoother animations. The storyline is also quite similar; play as the landlord of a land and construct several types of buildings and decorations it. Some buildings require neighbors to be completed. You need to take help from your friends playing the same game to construct these buildings. Similarly, you can help other players to finish the construction work of their buildings and you will be rewarded in return. One of the twists in its gameplay is that business buildings i.e. buildings which will generate income for you, require human resources to operate. You will get limited human resources i.e. workers in the beginning. So, you will need to have a good strategy to progress through the game. There are some city quests as well which will reward you money once you complete them. SuperCity is another city building Facebook game that makes you a city Mayor and puts the responsibility to develop it upon your shoulders. Being a good Mayor, you have to provide the best infrastructure to your citizens by constructing residences, business, entertainment buildings, roads, and make your city beautiful by using decorations. Building more residences will make your city look more crowded and filled with happy people. 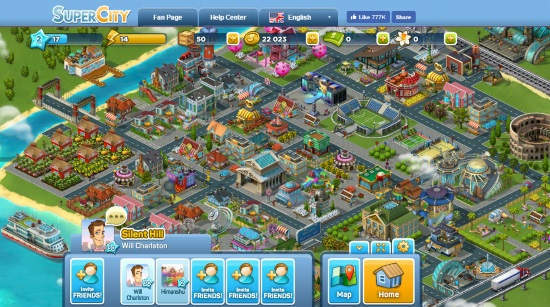 The gameplay is quite similar to the previous Facebook city building games listed. You have to drag and drop buildings from the shop to the free land in the city to start construction work. You can use energy bars to instantly finish the construction work. Once a building is constructed, you can start collecting taxes i.e. income from it and receive XPs. LilyCity HD is the last city building Facebook game on my list. Just like other city building Facebook games on my list, it shares the same old storyline. 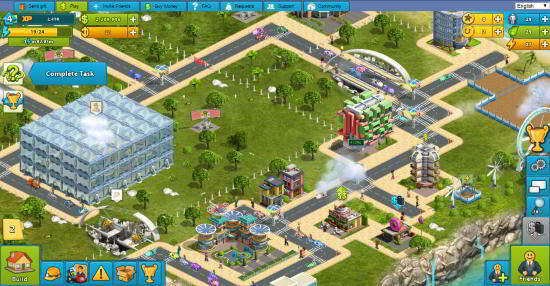 You play as the city governor and have to build different buildings, like residences, business buildings, etc. to develop the city. 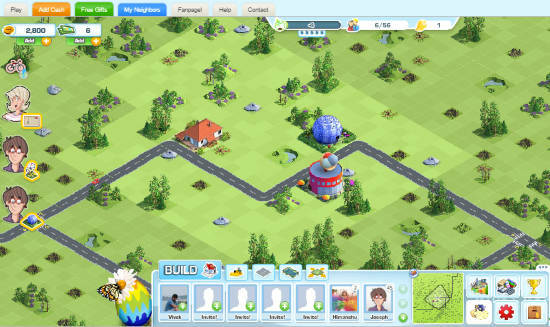 It is also a multiplayer city building game and having friends on the game will make it a lot easier for you. Complete the tasks and quests to progress through the game and gain extra cash rewards. Collect income generated by the business buildings to increase your bank balance and buy more buildings and decorations from the game shop. In this article, I introduced you to 5 free city building Facebook games that you can play while chatting with your friends and build an online empire at the same time. You will definitely like these games if you love farming games and empire building games, which require specific strategies to quickly progress through the game. Facebook is now not so exciting for me these days, but when I came across these games, they surely gave me a reason to be active on Facebook again. But I will warn you, as these games are addictive and time-consuming at the same time.